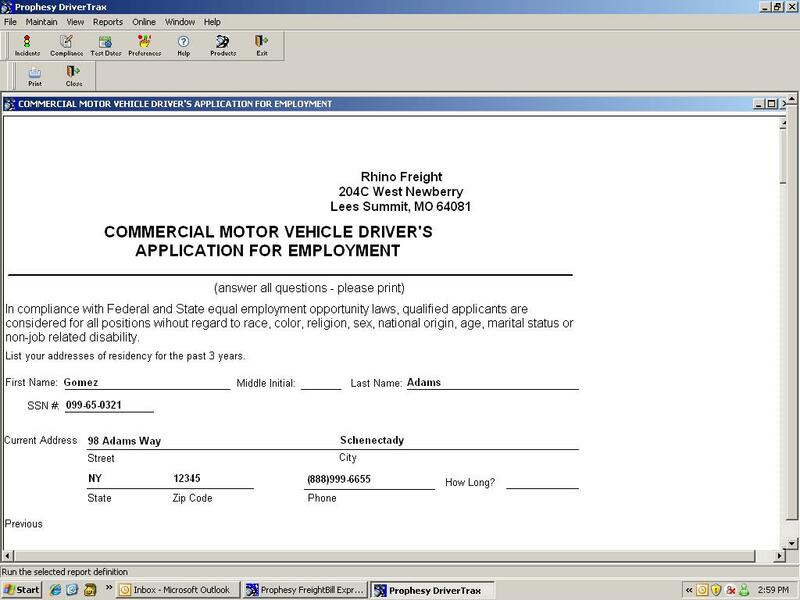 Simplify your paperwork and record keeping so your recruiters can concentrate on finding good drivers. Save you time and keep your recruiters organized. Track and keep your driver paperwork current, so that your drivers are ready to go when you need them. Provide you with the reporting functionality that will allow you to evaluate, train, and caution your drivers accurately and effectively. 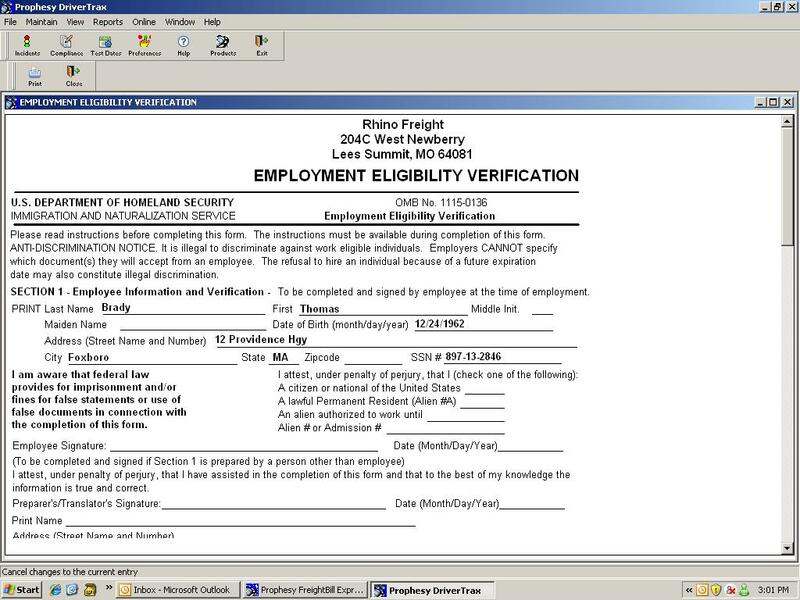 Provide forms and driver records needed to stay in DOT compliance. A menu at the top of each screen gives you easy access to any information with a click of a button. A comprehensive checklist ensures that all paperwork is current. 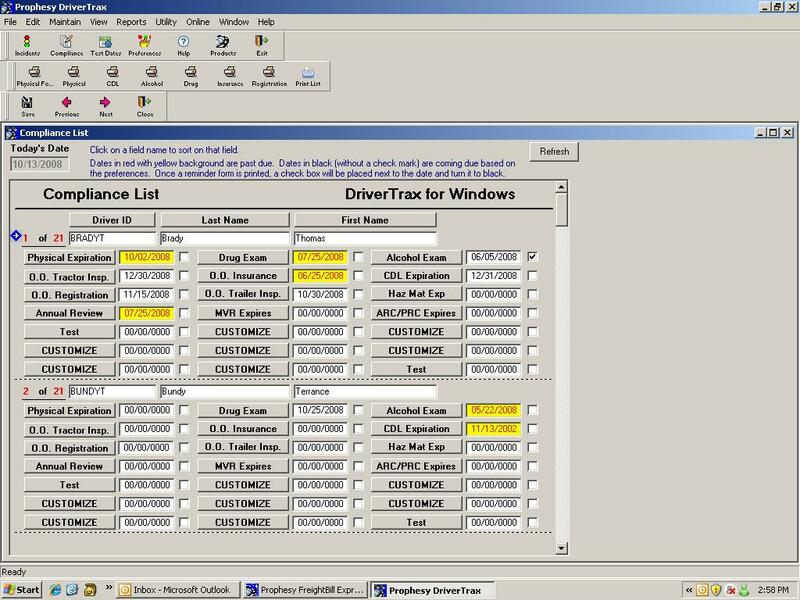 All important driver information can be quickly and easily retrieved at any time. Details such as CDL number and expiration date are easily accessed at any time. CPU: 700 MHz or greater. RAM: 256 MB, plus the minimum required by the operating system. The required RAM may be dependent on other software applications that may be installed and/or running on your computer. 1 GB RAM or more is strongly recommended. Free Hard Drive Space: 25 to 200 MB per product. Mileage mapping data requires an additional 650 MB. Additional drive space required for data storage varies significantly according to usage and requirements by the operating system. Display Properties: 800x600 screen resolution, 256 colors (1024x768, 16-Bit color is strongly recommended).